Earlier: Was It For Faeces? 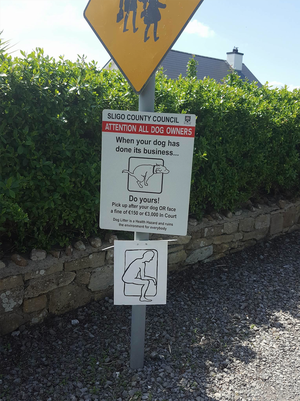 Posted in Misc and tagged dog poo sign, humans, sligo at 10:47 am on June 8, 2016 by Broadsheet. was in a park in cork in ballincollig at the weekend. 2 dogs owner walking towards, their dog in front. the dog crapped on the side of the path and the owners went over in the direction of the crap with a bag. at this point we passed by but I looked behind a few seconds later to see the dog owner walking away stuffing the empty bag back in his pocket leaving the crap on the ground. He was actually reaching down to pick up a strip of bloody D10s he found on the ground. Bahhh, copy cats, thats what they do in Dublin, see Sligo be copying Dublin. 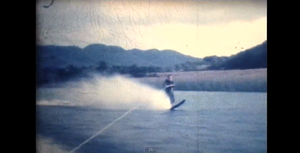 For of course Sligo now be a modern irish city.